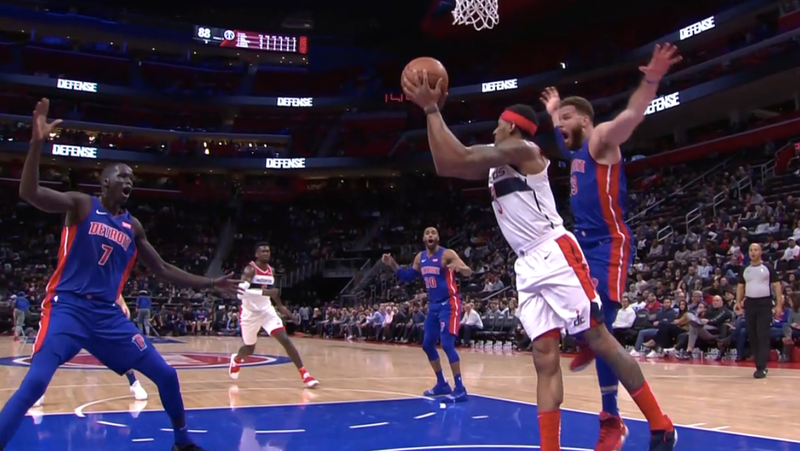 Late at the Wizards' loss to the Pistons on Monday night, Bradley Beal took it to the side. He got the ball, took his usual two steps, saw a huge Blake Griffin floating in his blast, and then … kept walking. Just as one does. That transfer was partly read as basketball, and this is not a journey, then the parsing of small movements of pivot feet is a hilariously vacuous academic exercise by comparison. However, referees of the NBA have not been able to tolerate clowns. Examining the land and selecting a pleasant little hill to die, they dispute that Beal has lost, which allowed her to recover her pivot foot and pass the ball before that path. The Beal does not interact with Griffin, or any other Piston, at any point in his travels between dimensions. If all you have to do is bobble the ball to earn four steps, an unholy animal is released. Somewhere Kyrie and Harden are crying with gratitude for this discovery.